Johannes Christiaan Karel Klinkenberg – Kunsthandel A.H. Bies. Title: Een zonnig stadsgezicht met de Hoofdtoren te Hoorn. Date: c. 1880s-1920s. Materials: oil on canvas. Dimensions: 90 x 120 cm. 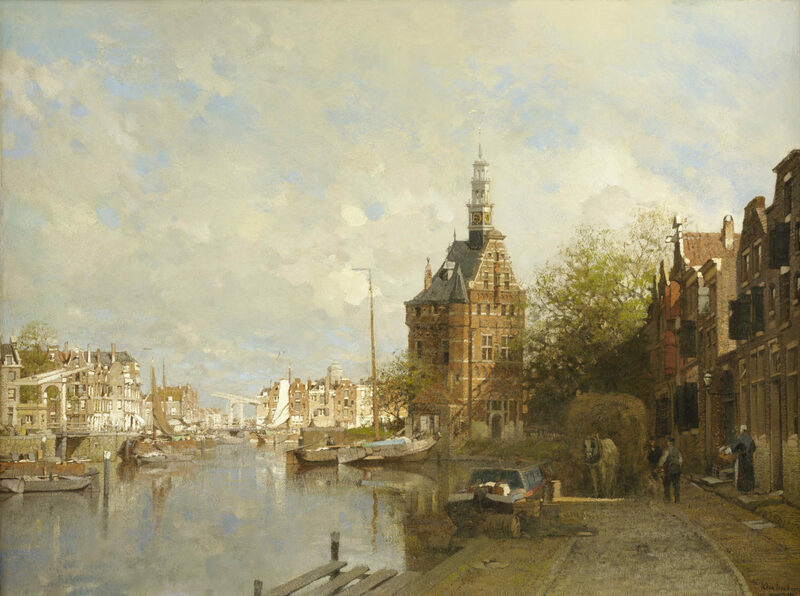 Source: http://www.kunsthandelbies.nl/wp-content/uploads/klinkenberg-johannes-christiaan-karel-een-zonnig-stadsgezicht-met-de-hoofdtoren-te-hoorn-e1468416071699.jpg. I have changed the light and contrast of the original photo. 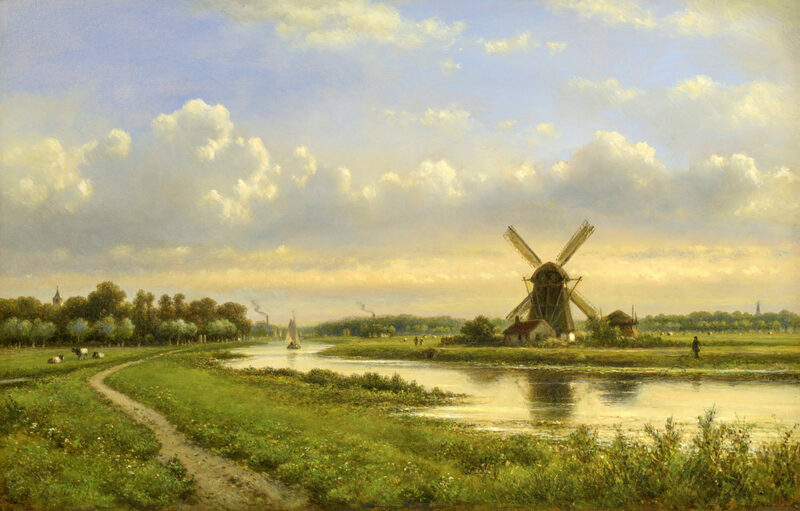 Jan Willem van Borselen – Bies Kunsthandel. 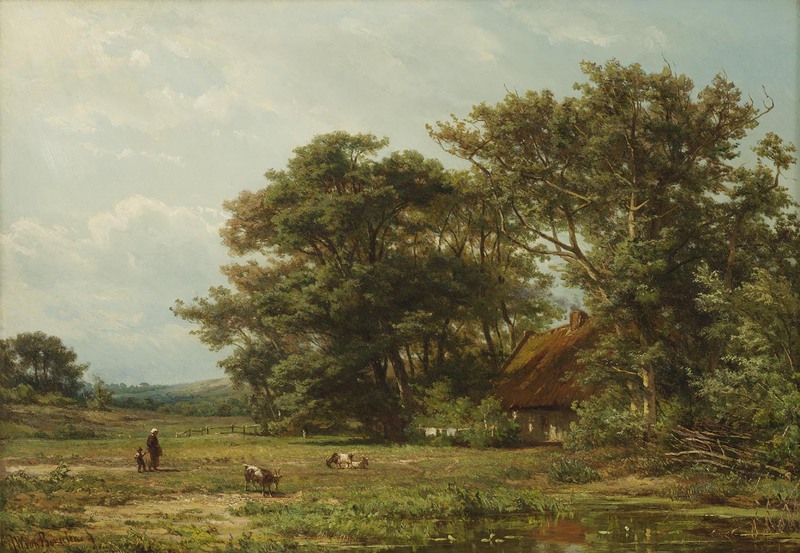 Title: Landschap met personen en geiten bij een boerderij. Date: c. 1850s-1890. Materials: oil on panel. Dimensions: 37 x 53.5 cm. 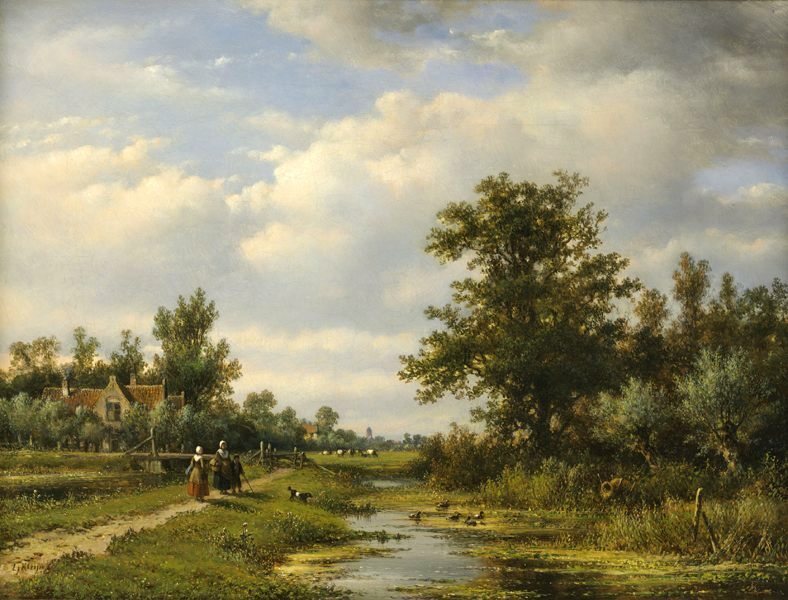 Source: http://www.kunsthandelbies.nl/wp-content/uploads/borselen-jan-willem-van-landschap-met-personen-en-geiten-bij-een-boerderij.jpg. I have changed the light and contrast of the original photo. Materials: oil on panel. Dimensions: 49.5 x 64 cm. Source: http://www.kunsthandelbies.nl/images/paintings/a_kleijn_lj_f005.jpg. I have changed the contrast of the original photo.